Micha Gamerman Release His Next Big Hit “MoRabu” Off His Upcoming Third Album! With the success of two solo albums, a Yom Tov album and over half a million views on his last music video, Yiheyeh Besseder, and over 1 million hits on Bezochrenu Et Zion, Brazilian super singer Micha Gamerman hasn’t stopped working. Now he is releasing an exciting new single titled MORABU off his upcoming 3rd solo album. With Yom Tov behind us and Winter almost here, the days are getting shorter and many people tend to fall into a funk. We must never to forget the great wonders of the world that are constantly around us every moment of every day. While looking for the best material for his new album, Micha contacted the renowned composing and arranging duo Eli Klein and Yitzy Berry. When Micha first heard this song of theirs, he immediately knew it was what he was looking for and he jumped on it. 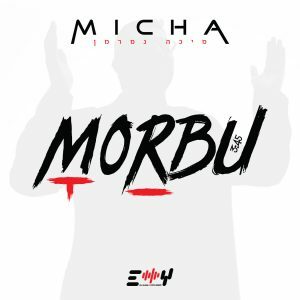 Micha’s stellar vocals coupled with the phenomenal arrangement by talented Eli Klein and Yitzy Berry, MORABU is sure to have you reaching for the replay button to play it again and again. If this is just a little taste of what Micha’s third studio album has to offer we can’t wait to see what else is in store. Look out for Micha’s third solo album hitting stores this Chanukah.